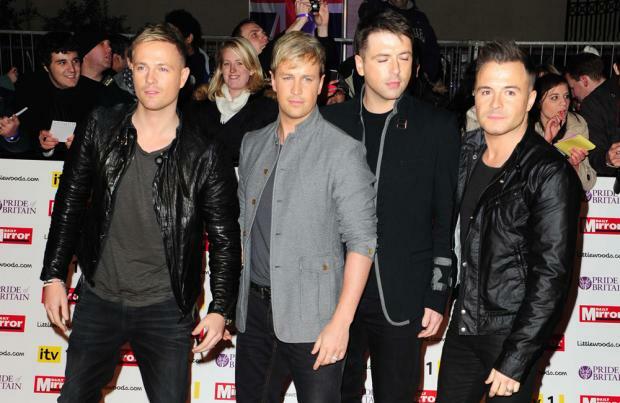 Westlife "probably" won't ever reunite with Brian McFadden. Shane Filan has insisted the Irish band – completed by Markus Feehily, Nicky Byrne and Kian Egan – have seen the 'Flying Without Wings' hitmakers as a four-piece ever since they broke up in 2011, and don't see Brian, who left in 2004, ever returning to the group. Shane, who hasn't spoken with the 38-year-old singer in a decade, told The Sun newspaper's Bizarre column: "We will always see it as a four. "It's nothing against Brian. It's just he left and we went on and became a four-piece. We're still a four-piece and we will probably always be a four-piece. I haven't spoken to Brian in 10 years. "We did nine years without Brian. We made six albums without him. It would be different if we all ended six years ago and we were a five-piece and now we're four. "But we have been a four for three-quarters of the band's time, including the time off." The band's manager, Louis Walsh, previously admitted he only wanted the "Fab Four" to be involved in any reformation, not Brian, who left the band to pursue solo projects, and said "never say never" to rejoining his former bandmates in the future. Louis said of their reunion: "Brian won't be involved, it will be the Fab Four. Totally. "The four of them just see them themselves as Westlife." The 66-year-old Irishman said he wanted it to be just the four of them because they'd be "happy", and said it was more convenient considering three of them all live in the same town. When asked if Brian begged to be included, the former 'X Factor' judge replied: "No, I prefer a happy band and four happy people. "They all know each other, they all respect each other. "Three of them live in the same town in Sligo, so it makes more sense." The band made a comeback last week with their Ed Sheeran-penend single 'Hello My Love' and have a new album and upcoming 20th anniversary tour.